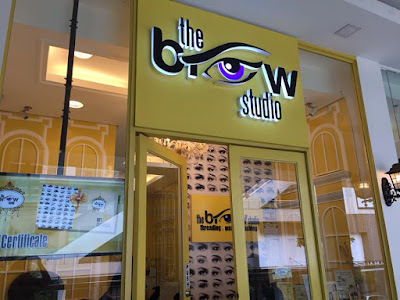 My good friend and I recently visited The Brow Studio. 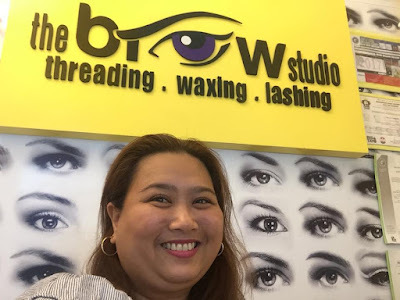 It's always been my go-to place for eyebrow grooming. 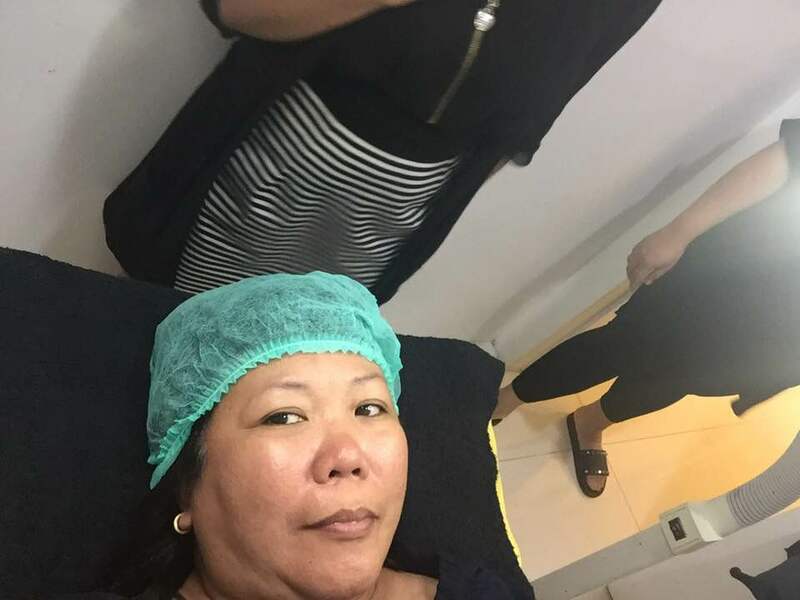 But for this particular visit, my purpose is to accompany my friend who wanted to try the latest trend on eyebrows called microblading. I'm sure most of you are familiar with it. But for those who do not know what mircoblading is all about. 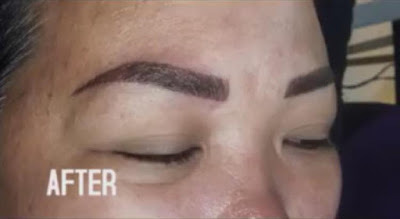 Microblading is a semi-permanent tattooing technique that creates hairlike strokes to fill in the sparse or thinning brows. I would've wanted to try it out myself had I not been diabetic. Unfortunately, I was told I'm not allowed to undergo such process. 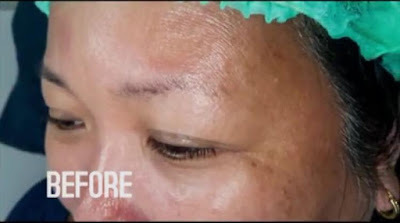 This procedure is not for diabetic and those who are prone to keloidal scars. 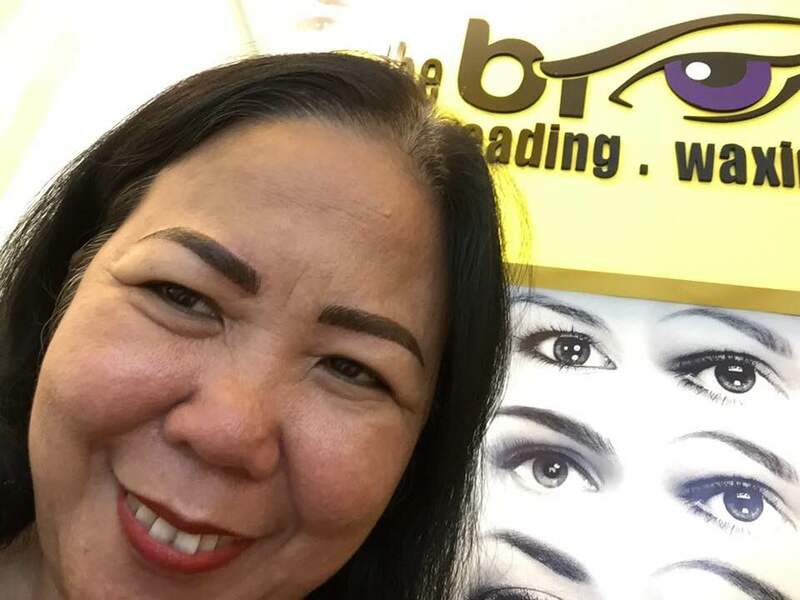 It was my first time to visit The Brow Studio's branch in Uptown Parade in Bonifacio Global City. The Brow Studio perfectly fits the posh Uptown Parade mall with its new hues of bright canary yellow, white and black colors. My friend Merce Maata was a bit nervous at first because she had no idea if the microblading process would be painful. However, Ms. Michelle Almonte, The Brow Studio's resident aesthetic tattoo artist assured her that she will be in good hands. There's a topical anesthesia to begin with, so there's really nothing to worry about. My friend ate Merce before the microblading procedure. 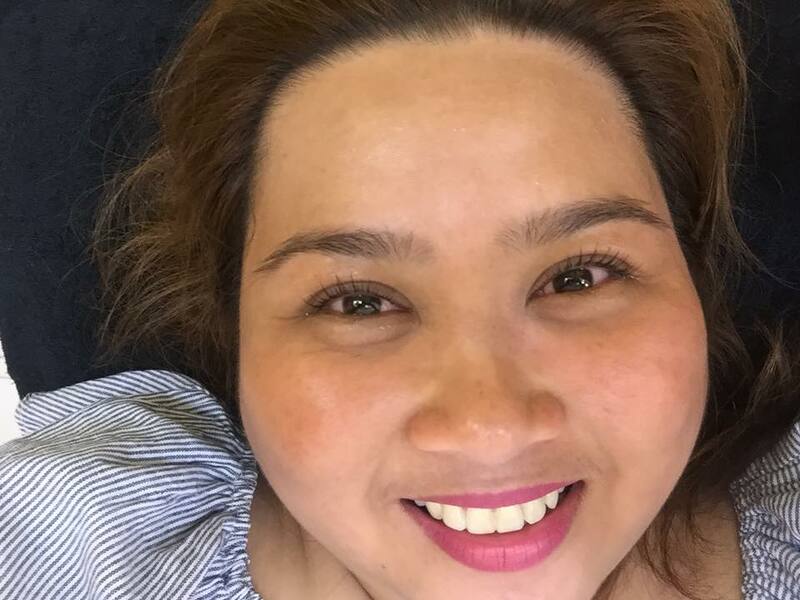 Look at how happy and satisfied my friend has become after she has undergone a combination of microblading, shading and stroking in order to achieve such perfect semi-permanent makeup brows. Should you want to read Ate Merce's personal thoughts on microblading and semi permanent makeup, check out her blog here. Now, what about me? Aside from maintaining my brows, The Brow Studio also offers other services such as waxing, threading, eyelash perming and Keratin eyelash lifting among many others. 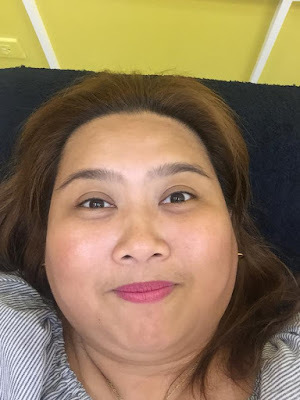 While waiting for Ate Merce, I decided to avail of their Keratin Eyelash Lifting. I've previously tried their eyelash perm treatment. It was good while it lasted and I remember waking up to Disney Princess lashes back then. 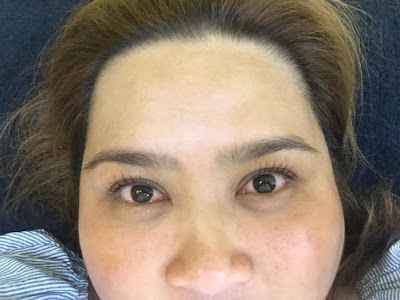 This time though, I wanted to see the difference between the usual eyelash perm and the Keratin eyelash lift. I got so excited just thinking about waking up again in my Minnie Mouse kind of eyelashes. What exactly is Keratin Eyelash Lifting? 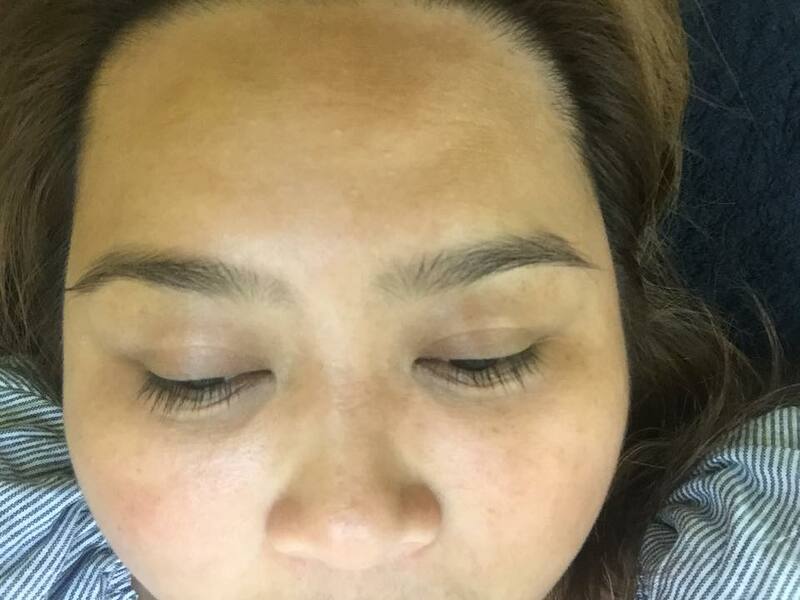 It's an alternative to lash extensions and falsies for a curled lash effect. While some lash lifts use perm and ammonia solutions, Keratin is a keratin treatment that enhances your natural lashes by lifting the hairs and curling them. I was born with a good amount of lashes, but they're quite straight despite being long and indecisively directed. They were boring, dead-straight and never liked to play with eyelash curlers. So when I got the opportunity to lift my lashes into a perfectly curled formation, I gave it a nod right away. I've had my eyelashes permed before so I was preparing to smell perming chemicals and the thought of putting them on my lashes. But alas, this Keratin Eyelash Lift is quite different. No watery eyes and no dizzy head. I almost doze off to sleep during the process! No kidding! There's nothing invasive about this 45-minute (one-hour max!) treatment--if you like to relax, you'll love a lash lift. It's like a perm for your lashes but a lot less effort. 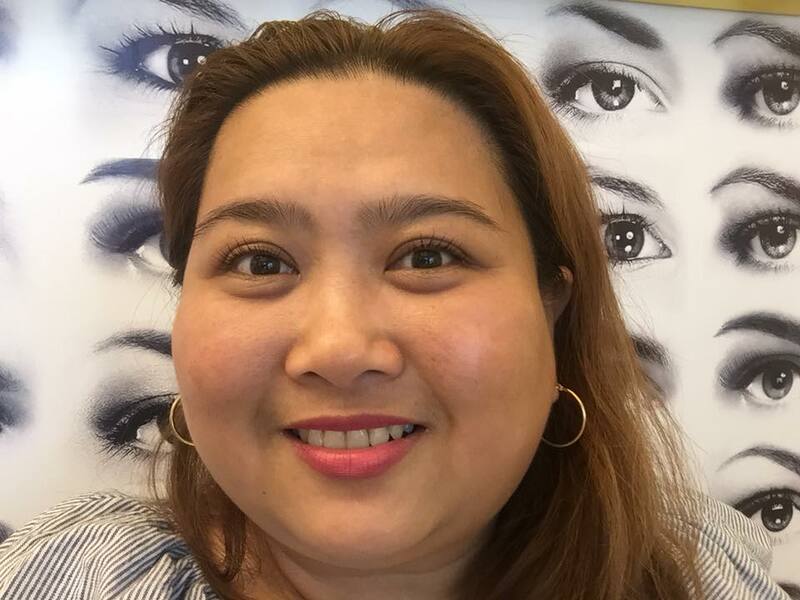 Just show up at any branch of The Brow Studio, lie down on their comfy chair, close your eyes and trust that your lashes are in capable hands. The Brow Studio assures that all the staff has undergone extensive training so you know you will be alright. Not keen on people poking in and around your eyes--the said treatment was no issue for my usually irritated eyes. The way a lash lift works is this: You're lying down with your eyes shut, and a lash technician tapes your lower lashes down so they don't get tangled up in the mess of the perming site. 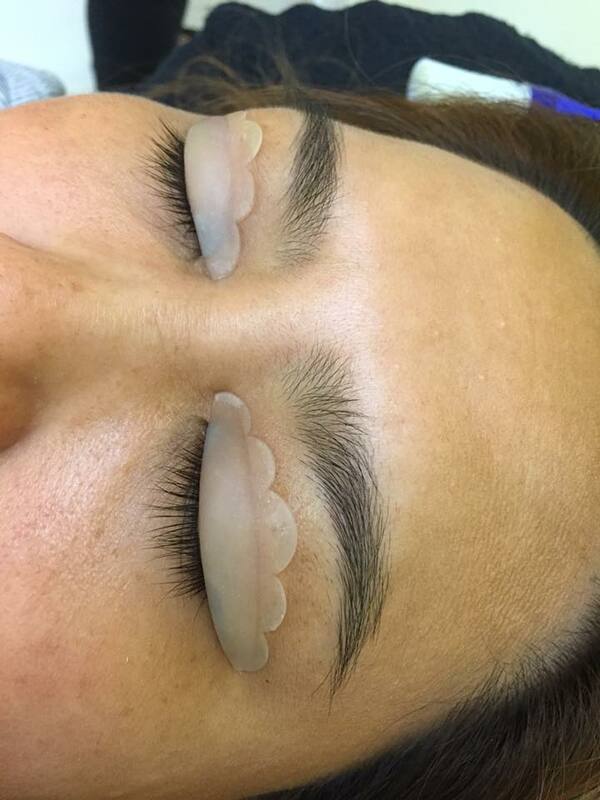 Then a silicone pad that acts as a sort of "curling rod" as well as a guard is fixed to your upper eyelid with a gentle adhesive so it stays put. The sloped shape of it serves to give your lashes a curved shape to form to when slathered in perming lotion. The length of your lashes is what determines what size silicone shield the technician will choose for you. Since my lashes are on the long side, they used a medium one. My lashes were brushed back to lay against the curve of the shield with that gentle adhesive so they all lay flat, awaiting the Keratin curling chemicals. Does it smell like a perm? Faintly. Does it sting? No. Then again, you're supposed to keep your peepers firmly shut the entire time. That said, my lash technician assured me that I would not go blind if a tiny bit leaked into my eye (but it wouldn't be pleasant either). Luckily, everything went down smoothly. When everything was done and the silicone shields were peeled off my lids, I was given a hand mirror for the big reveal. As for my reaction, I believe my immediate words were, "Gorgeous lashes, indeed!" The one tricky bit is that I was told not to get them wet for 24 hours right after the perm — a rule we are all familiar with thanks to the Reese Witherspoon film Legally Blonde. I was also not to crush them by sleeping on my face, which is certainly not the most difficult aftercare guideline I've ever come across. Keratin Eyelash Lifting at The Brow Studio costs Php2648. 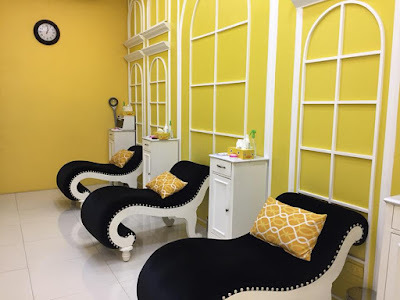 When compared to the usual eyelash perming, it is quite more expensive but you have to realize that they do not scrimp on the Keratin solution. And as we all know, Keratin naturally enhances our eyelashes. If you ask me, I think this is way better and more convenient than perming our eyelashes. 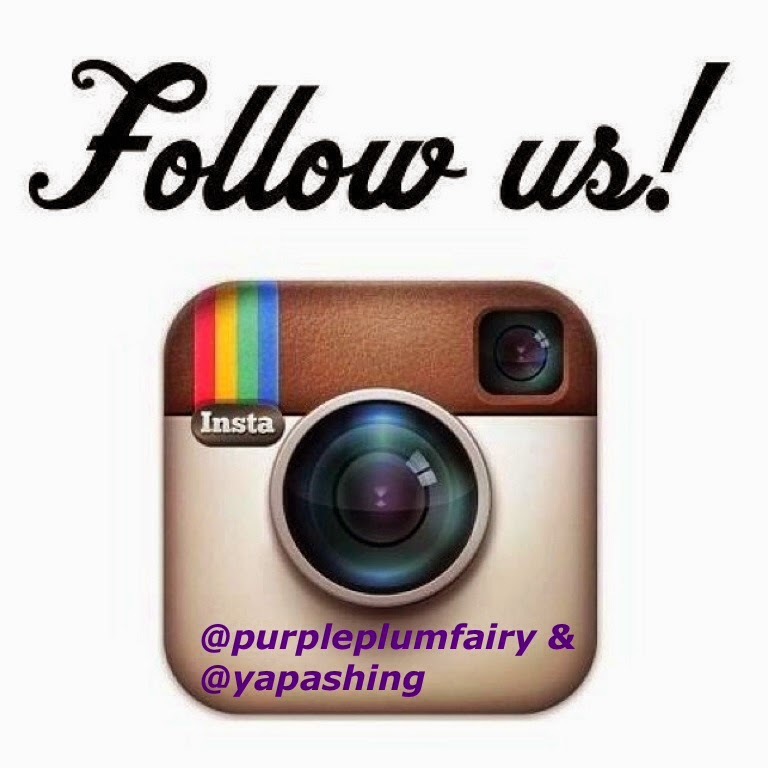 Purple Plum Fairy thanks The Brow Studio for taking care of her brows and her eyelashes too. Eight awesome weeks to be precise! For best results, the pros recommend waiting out the eight weeks before coming back for more (and you will be back, this is some seriously addictive stuff!). I'm happy to finally own a pair of "naturally" curled lashes that require zero maintenance. I wake up and my lashes are perfectly curled and evenly separated. I cry/shower/swim and not a single lash budges. Even intense, sweaty exercise doesn't disturb their awesomeness — it's magic. Twenty-four hours a day, seven days a week (for eight weeks) my lashes are on fleek (can I say that?). Look at those lashes? Aren't they so Disney Princess like? 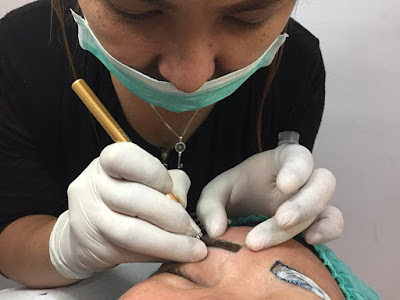 Should you want to try semi-permanent makeup microblading and Keratin Eyelash Lifting, check out The Brow Studio branch nearest you. 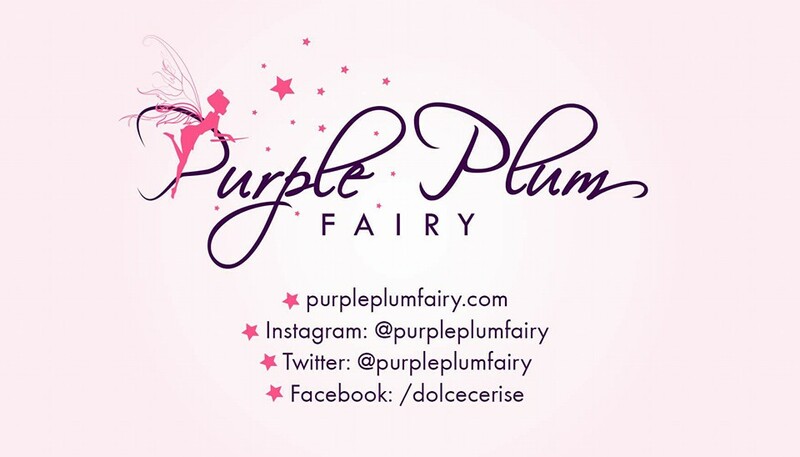 Special thanks to Ms. Teng Tobillo and Ms. Mitz Almonte. That's all I can share for now guys!